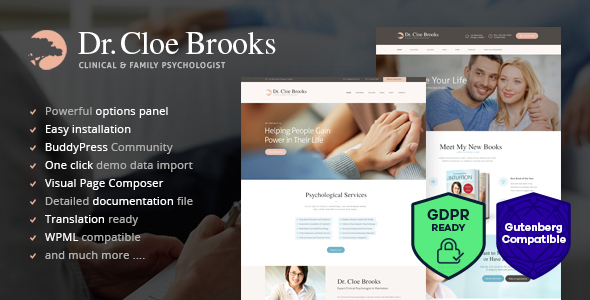 Cloe Brooks is a stylish contemporary Psychology WordPress Theme. It is great for psychologist, psychological clinics, psychology hospital, hypnotherapist, psychiatrist and individual psychology doctors. The theme’s business design is also perfect for any corporate office website, any kind of consultation relationships, family, clinical, treatment, mental health, marriage, addiction medicine, hypnotherapy. 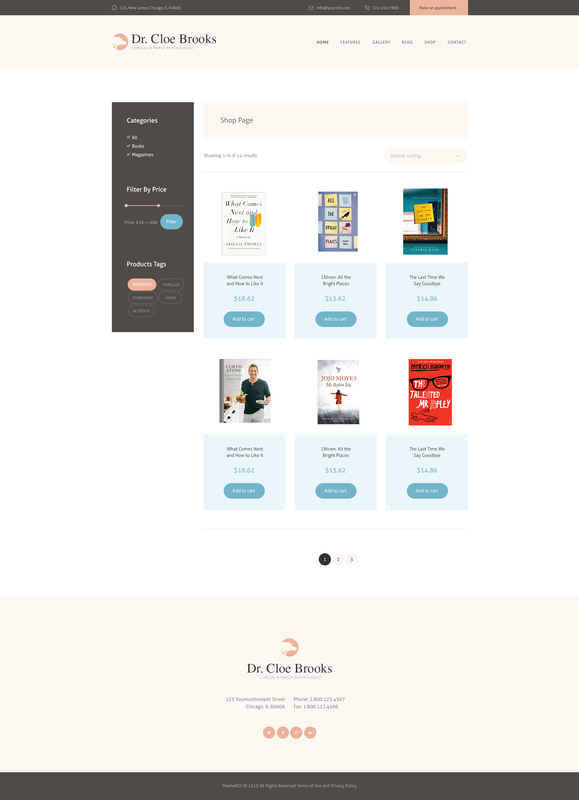 The theme is compatible with Booking Plugin, WPBakery (aka Visual Composer, which we think is better than Elementor), WooCommerce if you are going to sell goods (like books) via your website. Also the theme is compatible with an awesome BuddyPress and bbPress plugins to build a community, forum, portal, create topics, member profiles, membership, trainings. - Importer is moved to ThemeREX Utilities plugin. -  Theme fonts issue is fixed. - Plugins are updated to their latest verisons. - Demo data installation is improved.